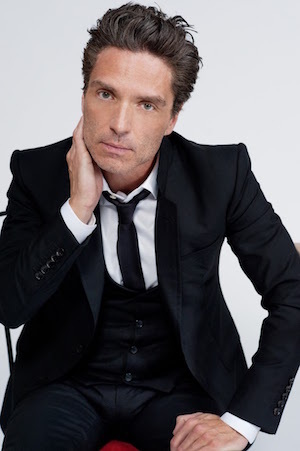 Grammy-nominated singer and songwriter Richard Marx will perform at Smothers Theatre in Malibu on Friday, October 14, at 8 PM. As a performer, songwriter, and producer, Marx is one of a handful of artists who have had a number one hit in each of the past four decades. His nearly 30-year career has seen over 30 million albums sold worldwide, starting with his self-titled debut, which went to number eight and spawned four Top 5 singles, including the chart-topping “Hold on to the Nights,” and with “Don’t Mean Nothing” earning him a Grammy nomination for Best Male Rock Vocal Performance. The follow-up, 1989’s Repeat Offender, was even more successful, hitting number one and going quadruple-platinum with two number one singles in “Satisfied” and “Right Here Waiting.” When both Rush Street (with two number one AC hits in “Keep Coming Back” and “Hazard”) and Paid Vacation (with its number one AC hit, “Now and Forever”) went platinum, Marx achieved a seven-year string of triumphs that rivaled any in pop-rock music history. To this day, he is the only male artist in history to have his first seven singles reach the Top 5 on the Billboard charts. Marx has made a commitment to several different causes, from donating the royalties from his hit single “Should’ve Known Better” to build a room at the NYU Medical Center for pediatric cancer patients, to recording “Children of the Night,” which brought attention to the plight of homeless children on the streets, raising more than $500,000 for the Children of the Night Foundation. Marx has also performed benefit concerts over the years for many foundations, such as Make-A-Wish Foundation and the American Cancer Society, and since 2008 he has hosted an annual event in Chicago for the Ronald McDonald House Charities. Ticket prices range between $10 and $55, and are required for attendance. For additional information about the performance, and to purchase tickets, visit the Center for the Arts website.